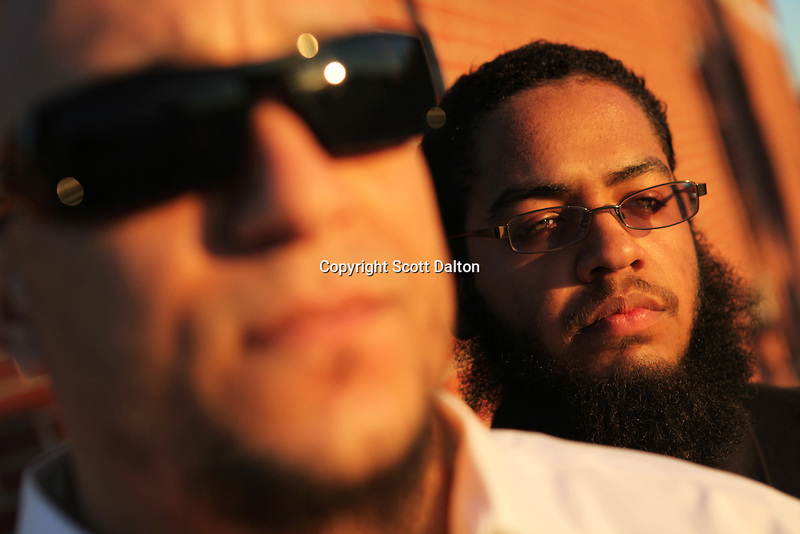 Victor Benjamin, left, and Duane Reasoner Jr., right, outside of their local mosque in Killeen, TX on Friday November 6, 2009. Both Benjamin and Reasoner saw Maj. Nidal Malik Hasan the day before he went on a killing spree at Ft. Hood killing 13 people. (Photo/Scott Dalton).